3 Days ‘Til Christmas and what a wonderful gift to share today. 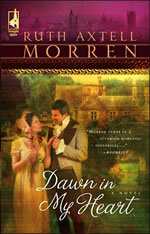 Regency Author, Ruth Axtell Morren visits today and shares an amazing excerpt from one of her novels. 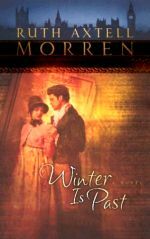 Her debut novel, Winter is Past, is a powerful story about a skeptic’s road to redemption, and the way love changes his life. 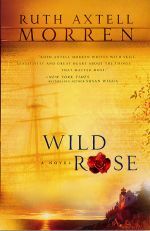 Of all the novels you’ve written, do you have a scene featuring someone’s ‘birth of faith’ (conversion, recommitment, etc) that you found particularly touching or fulfilling to write? Why? Sure do. It’s the hero, Simon’s, conversion scene in my first published book, Winter Is Past. I think it’s powerful b/c it’s loosely based on someone’s real conversion story. When he (Simon) looked up and saw the clock on the mantelpiece, he realized an hour had passed. He had been reading the Book of Hebrews, and now he stared at the title across the top of the page and realized it was written to his people. It was written to him. He stared at the burning coals, the ash white around them. He thought about his life up to that time. It was as if someone had jerked him to a standstill and forced him to examine it in its entirety—from his family and his ambitions to all the vain pursuits he’d chased after, trying to mold himself into a Gentile: to the finality of death. He realized if he used his rational mind, which he’d always prided himself on, there were only two choices left to him. End his life or choose the life that the book in this lap promised him. He still felt torn; it seemed tempting on the one hand, so easy to believe. But was it true? Or would it be another chimera, as had been all the other things he’d reached for? He swore, throwing the book across the room with all the force of his anger. It crashed against a Chinese vase, toppling it. The sound of shattering porcelain in the stillness seemed to rend the last shreds of resistance within Simon. “Then, take me!” he yelled in bitterness and distress. His cry, as if it drained his last ounce of energy, caused him to fall to his knees on the carpet, his head bowed upon it. There! He surrendered, and he had nothing left to do. In the stillness following, Simon knew with a certainty beyond reason, beyond logic, that he wasn’t alone. He didn’t know how he knew it, but he felt the tangible presence of someone in the library with him. Slowly, hesitantly, he raised his head, afraid the sense would leave him at the least movement. When he still felt it, he opened his eyes, looking around. He saw on one, but still he knew he wasn’t alone. He sat back on his heels, waiting. 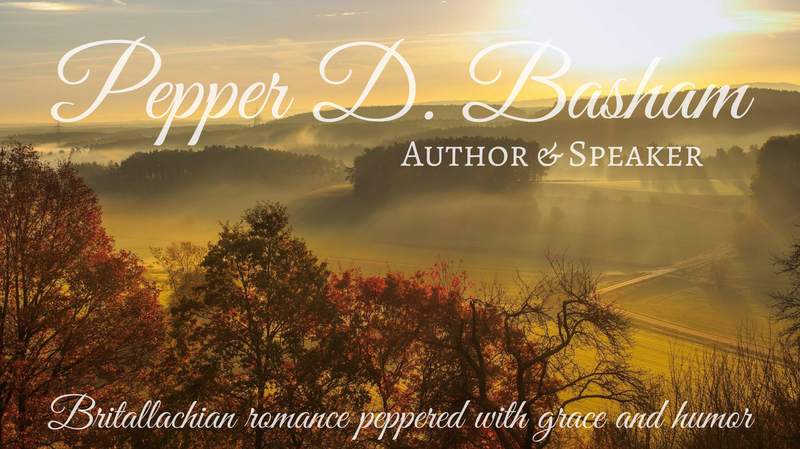 Then he felt as if someone reached deep inside his heart and broke a band of iron that had wrapped itself around it since the moment of Rebecca’s departure—in truth, it had probably been there much, much longer. In that instant, Simon felt a light so great it penetrated his soul; he felt as transparent as if the sun were filling him, flooding him, the room he was in, flooding every particle of his being, leaving nothing hidden or untouched. He looked down in wonder at his hands, realizing for the first time in his life that he felt free of guilt. “Free of guilt.” He spoke the words, relishing the experience. Free of encumbrances, doubts, fear. With a sudden clarity he understood what the blood of Jesus had done. What it was still doing so many centuries later at that very moment upon the library floor of No. 10 Green Street, Mayfair, London, in the year of his Lord 1818, in the life of a man who was unworthy, so unworthy. That blood was washing him, making him worthy. Simon instinctively raised his arms heavenward and uttered a cry. “Oh, God!” With his whole body he magnified the Lord. Pepper here: Oh Ruth, this scene is absolutely beautiful. I’ve told you before that it makes me want to weep every time I read it. And based on a true story? Wow. Grace always amazes me…and humbles me. And in the above verse, it is referred to as the gift of God. Tis the season of gift-giving, so lets dissect that ritual for a moment. Well, the purest motives are because we love someone. We want to make them happy, provide them with something they need, share excitement with them or celebrate with them. We don’t give a gift to get something in return. Now through the years we’ve added lots of rituals and expectations to it, but the bottom line is that we give someone a gift because we care about them. Share joy with them or celebrate with them. Jesus’ gift to the world, himself, was the best gift of all time. Just like Simon in Winter is Past, we were guilty and needed freedom. To be seen as ‘guiltless’ when we deserve punishment is a beautiful and humbling thing; and if we think about it in the context of Christmas, it becomes even more touching. God became man. It had to be done. He couldn’t just defeat sin in his death, but he also had to conquer it in life. Christ had to experience all the frailties and temptations of humanity, then choose obedience, before his sacrifice could be complete. No, we didn’t/don’t deserve it – but that’s what grace is all about. Undeserved blessing & mercy. That is God’s gift to us. The faith we have to believe – even it – is a gift from God. We owe it all to him. He wanted to see us happy and knew His grace… faith in Him would make us happier than we could be on our own. He gave us something we needed. We could never earn his favor, or win his love by our deeds. It had to be a gift – because of His love for us. He wanted to celebrate with us – celebrate His love for us by showing us grace. From the manger to the tomb Christ continues to unravel his gift to the world through his life and love. What does this gift look like? This scene is so powerful to me. It’s a great example of God’s grip on us! I know that everyone comes to Christ in different ways with different responses. Some slow and easy, others like Simon – God shakes some sense into them. The way you’ve portrayed this is absolutely beautiful. Thank you for being my guest today. 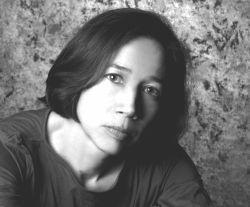 Your writing is a true blessing. Thanks, Pepper, your comments mean a lot. I hope you and all those stopping by your blog have a most blessed Christmas. Here is to more insight and revelation in the new year. Pepper, these “Birth of Faith” posts are such a blessing and inspiration to read. So unique and beautiful! This brought back memories of reading Winter is Past. I remember weeping, too, during this scene. I was beginning to wonder if Simon was ever going to come to faith and, at last, he did! It was a beautiful story, as are all of Ruth’s novels which I enjoy so very much. Thanks so much for stopping by. I wanted to start this ‘birth of faith’ series to inspire people. Oh what a Savior! And how wonderful it is that God uses authors to share His truth is such a beautiful way. I’m glad you’re enjoying them. Yes, Ruth’s novels are beautiful. Amazing.